The Master’s College baseball team entered Tuesday’s doubleheader as winners of six straight overall and eight straight conference games. After losing the first game 2-0 to Menlo, the Mustangs (16-6, 11-4 GSAC) were in danger of a complete let down. However, three Mustang seniors made sure that didn’t happen. A.J. Work (Boise, ID) shook off a long first inning in game two, to throw six innings, allowing three hits and two runs (one earned) in a 3-2 Mustang victory. Work also struck out a season high eight batters. Despite Work’s efforts, the Mustangs still trailed 2-0 heading into the bottom of the fourth. But that deficit was cut in half when senior Spencer Downs (Kelso, WA) hit his second line drive home run of the season to right field. The Mustangs struck again in the fifth, this time sparked by Work’s leadoff single. Work, who was the first pitcher Coach Brooks has allowed to hit for himself this season, then advanced to third when Jon Popadics (Boise, ID) doubled. With runners at second and third, Brooks went to his bench. Senior Chris Talley (Simi Valley, CA), normally the Mustangs’ starting catcher, stepped to the plate. Talley’s single scored Work and tied the game, 2-2. Steven Karkenny (Chatsworth, CA) then grounded into a fielder’s choice, allowing Popadics to score from third and giving the Mustangs their first lead of the afternoon, 3-2. Tommy Kister (Saugus, CA) saved his fifth game of the season by retiring the side in order, striking out two. In game one, Menlo (7-7) shut out the Mustangs. Daniel Sheaffer (Mt. Airy, NC), Andrew Klausmeier (Northridge, CA), and Cody Harris (Lakewood, CA) combined to hold the Oaks to only two runs while striking out eight, but the Mustang offense left nine men on base in the 2-0 loss. The loss was not without two spectacular defensive plays. In the first inning, with the bases loaded and two outs, Popadics saved the Mustangs at least one run. The sophomore shortstop made a diving stop on a ground ball up the middle and flipped it to Sam Robison (San Juan Capistrano, CA) at second base for the third out. In the ninth, Karkenny made a diving catch in left field, to prevent an extra base hit for Menlo. 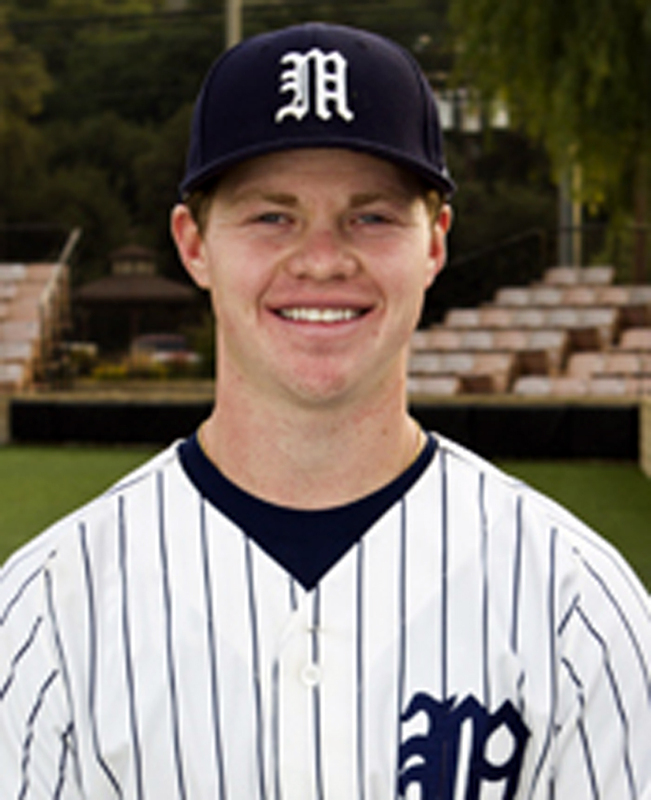 Five Menlo pitchers combined on the shut out; James Jensen picked up the win going three innings. John Bowling led the Oaks with three hits; Mickey Phelps and James Threw each drove in a run. Karkenny reached base three times for the Mustangs including two singles, but the Mustangs failed to score in a game for the fifth time this season. The Mustangs will stay at home for a non-conference doubleheader against Oregon Tech this Saturday. First pitch is set for noon.